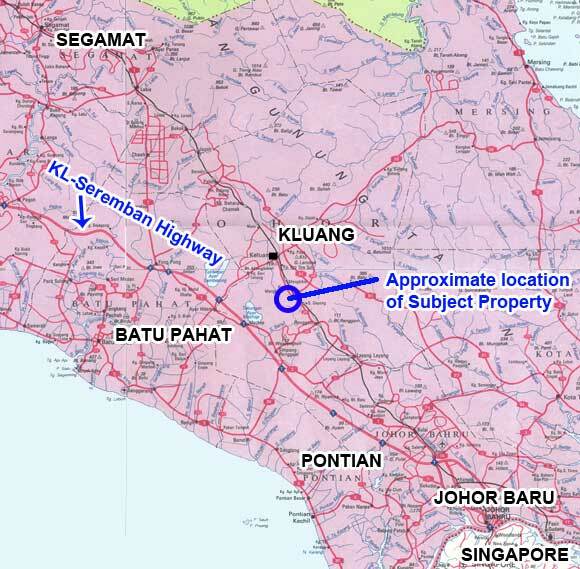 The subject property is located 8 km south of Kluang town. It is about 90 km from Johor Baru / Singapore and 250 km from Kuala Lumpur. It is fronting the trunk road and electricity, petroleum gas pipeline and water is available. There are some big factories around this area, notably being Guocera Tiles.